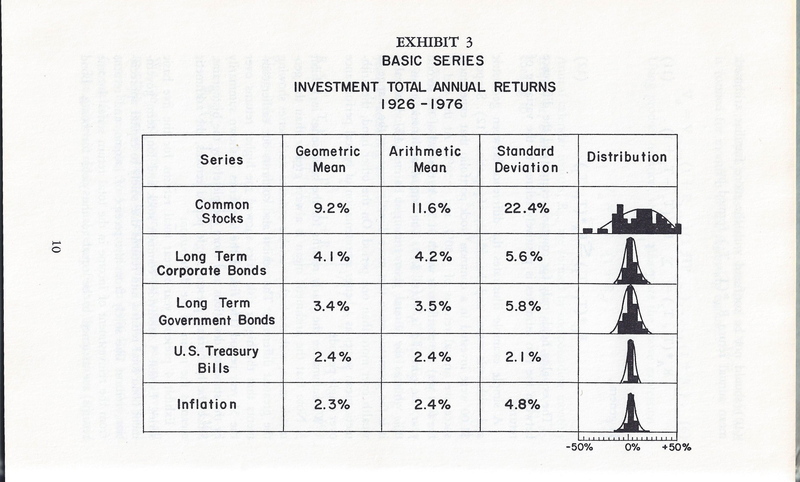 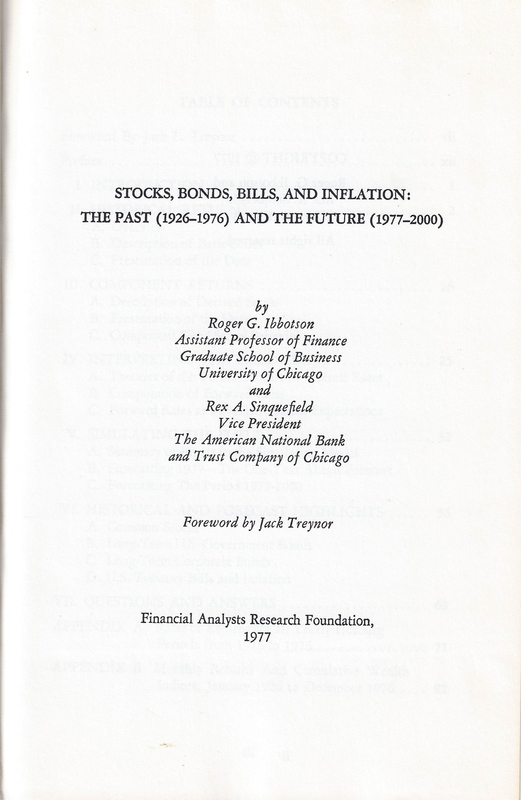 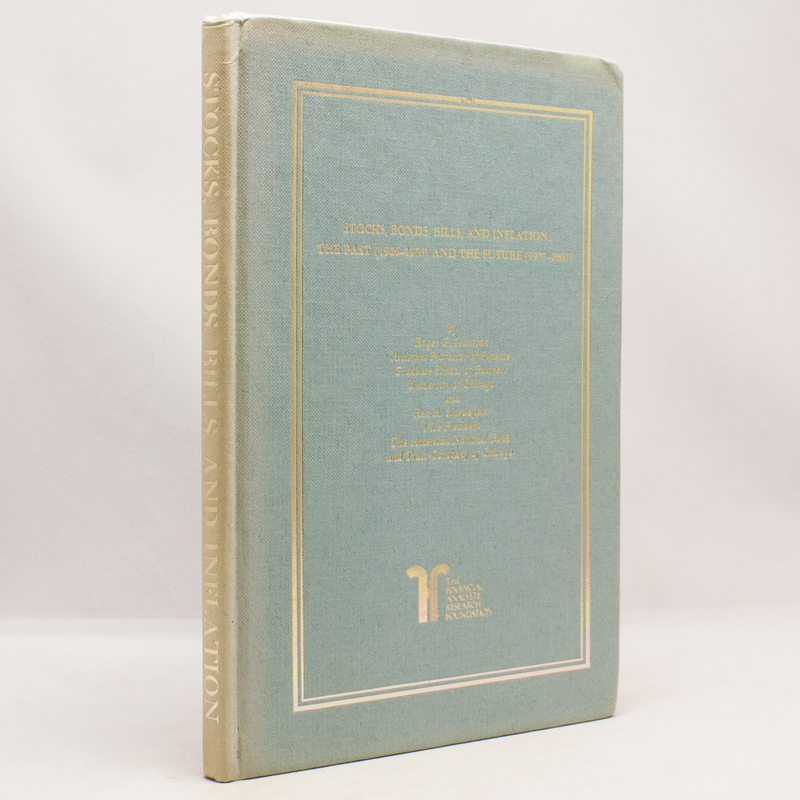 Stocks, Bonds, Bills, and Inflation: Historical Returns (1926-1976) - IFA Vintage and Current Book Library - Index Fund Advisors, Inc.
Notes: This is the First Edtion of this famous book consider the almanac of stock, bonds, bills and inflation. 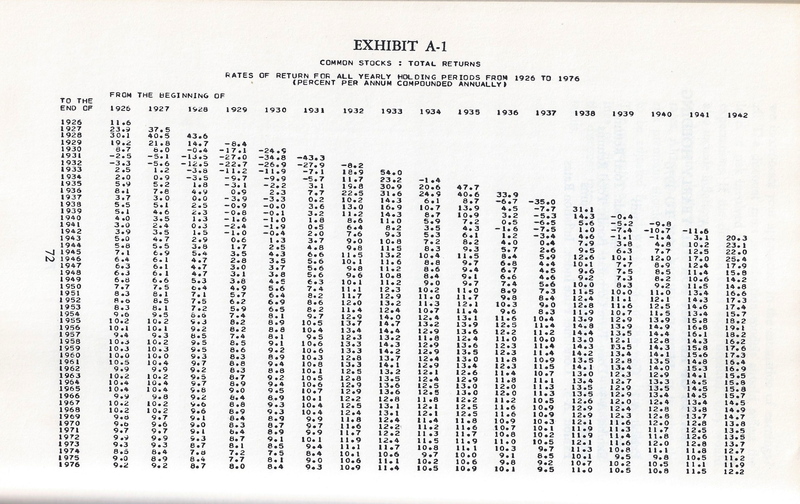 It has been updated nearly every year since 1977. 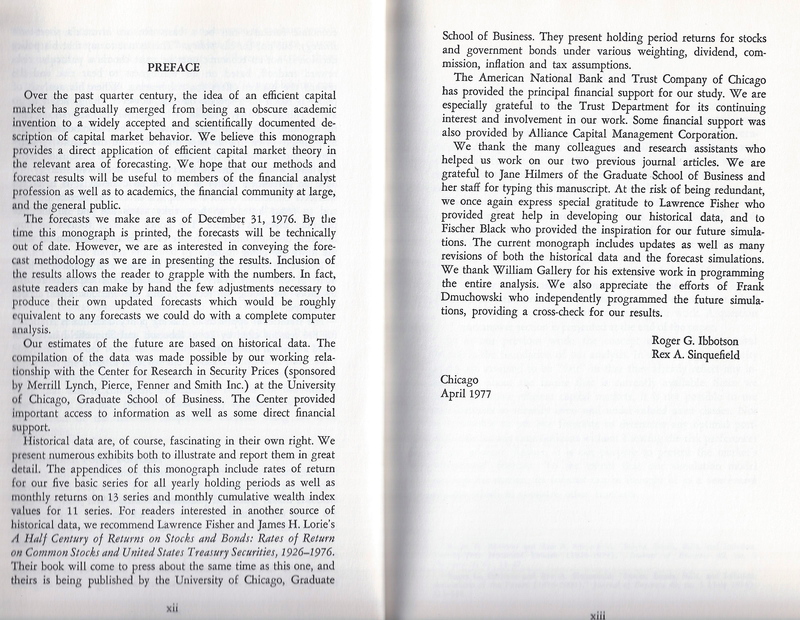 It's two authors went on to great success in the investment industry.